Helena, by Berdine Creedy. Not my photo. This is the same outfit as the previous image, only with an added skirt, corset, and beret. Her wig has been changed out, too. More recent outfits. Not my photo. Additional outfits for her 14 inch dolls. 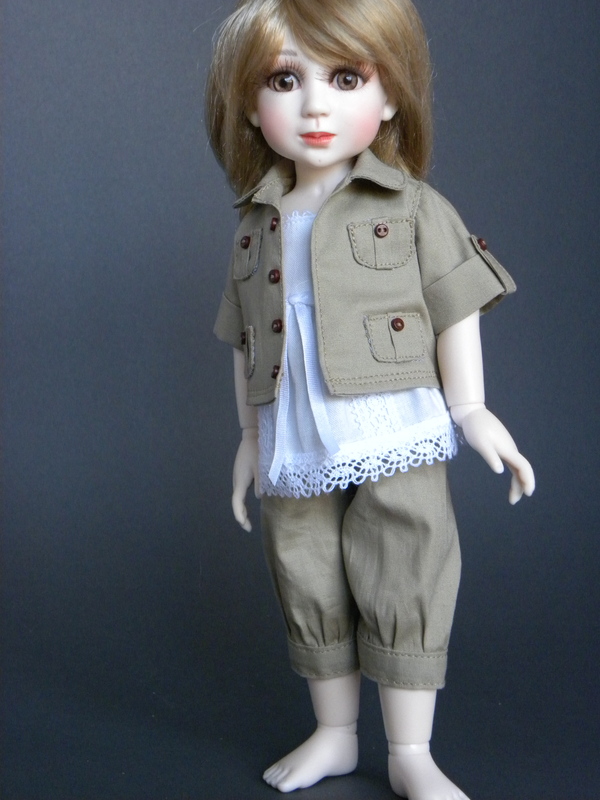 One of my first projects for Berdine: an outfit for Lineo from South Africa. Please note, this is not Lineo modeling the outfit. A recent outfit, available soon at my etsy. Happy Valentines Day! A dress for her 8 inch dolls, also available at my etsy shop. Thanks for looking! I hope that this will inspire you to seek out Berdine’s lovely dolls!